Isn’t this century all about computerized machines? We want to save our time and also energy by using the computerized equipment. Computers can do our work in less time. Even the sewing work can be easier now with the help of computerized sewing machines. Manual sewing machines are even upgraded to computerized machines now for a hassle-free work. 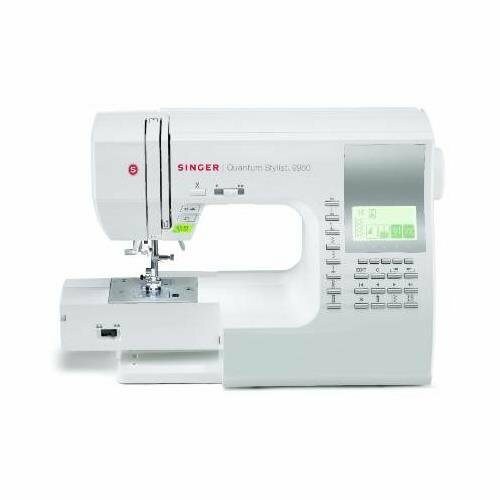 But somehow, it might be very difficult and confusing to decide which one of them is best suited for you from the number of good sewing machines available in the market. But, we will help you out there! 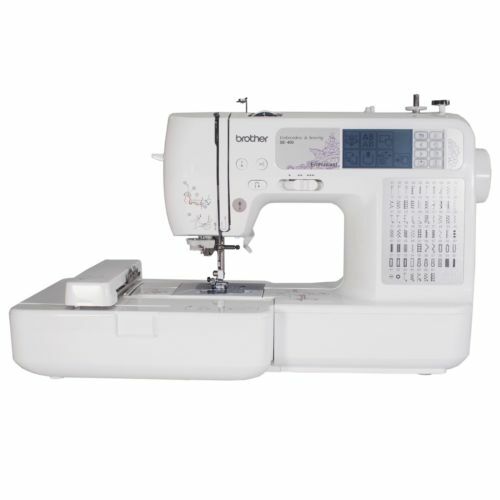 Depending on the type of work you will do, you need a specialized sewing machine with different features. The computerized machines are loaded with features. They have many built in stitches, buttonholes which might not be used by the beginners. Of course, the cost of the product increases with the number of features. If you feel 200+ in-built stitches aren’t needed, it won’t be a good idea to invest your money there. If you just want to do simple repair, homework, alteration, go for a simple mechanical one. The LCD screens, buttons, facilities are all there in computerized sewing machines. But, will you able to use it? It does become a little bit more complicated to use when you have more features, and you are a novice in the field of sewing. 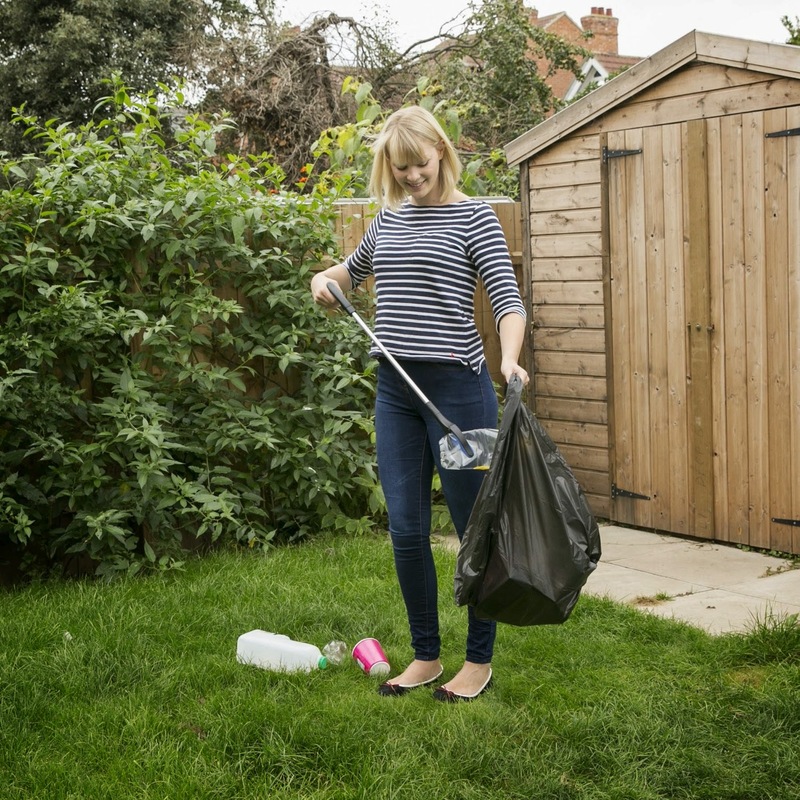 Before you get this time saver, make sure it is convenient for you. How Much Do You Want Spend? 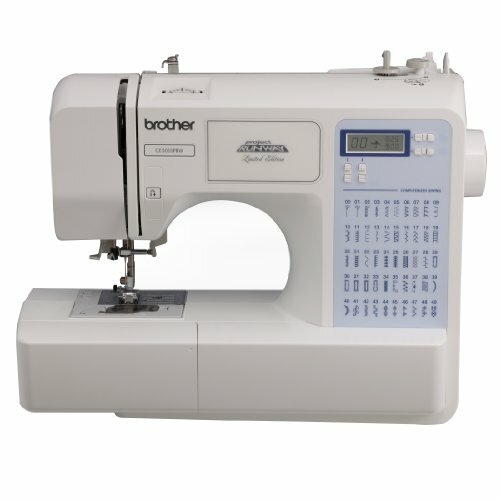 The computerized sewing machines are costlier than the mechanical ones, even if from the same brand as the later are the simpler ones. Automatic Features: You have automatic needle threader, automatic thread cutter, automatic needle up and down, auto tension and more. Everything is available to you without much effort. Some of them also provide with locking stitch underneath that gives a finishing. Stitch Options: Some computerized sewing machines also include symbols and letters along with stitching options. If you are doing some fancy project, it will be really helpful. Automatic buttonholes: Getting a buttonhole done is no more difficult. Place the buttonhole foot followed by pressing the button, and you have it done so fast and easy. Speed: The computerized ones have greater control over speed and are Some even give the option of not using the foot pedal. Complicated: With more features, the complications increase. Beginners may be overwhelmed to see so many features but have to be patient while learning them. Durability: The mechanical sewing machines have more durability than computerized ones. There is technological advancement taking places after each five years or so. There can be many new features in the new one, but the old one doesn’t stop working then. Make sure you purchase the hardy one with features that you require. 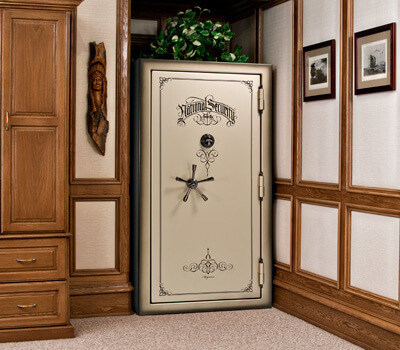 Cost: They are costly due to the enclosure of so many features. Even from the same brand, the computerized ones cost you a few more bucks. Now let us see what the best sewing machines for the beginners are. This computerized machine weighs 26.6 lbs. and is 21.2 x 16.9 x 17.3 inches in dimension. It is a modernized machine and can do any craft work. Embroidery Field: It has a large 5″ x 7″ embroidery field. For large sewing materials, you have ample of space. It also makes it easier to make different designs on tote bags, jackets, quilt squares by trying new embroidery. Automatic Needle Threader: You don’t have to worry about threading. The machine does that in the eye of the needle itself. Auto Thread Trimmer: Again a time-saver here. Just press the button, and it would trim the upper and lower part of the thread for you. Quick-set Bobbin: There are Drop & Sew Bobbin System and jam-resistant technology used in the bobbin, and you just have to take out the thread from the slot after placing the bobbin. The bobbin cover is also transparent which lets you know when you are running out of the thread. This enables neat stitch. Lots of In-Built Designs: There are 184 decorative stitches, 136 designs, ten frame shapes, 12 border styles and six lettering fonts available. There are beautiful designs which are pre-programmed. The maximum speed is 650 SPM. Built-In Memory: Yes, computers do have stronger memories than us. You can import any design you like using USB stick or the ones you have purchased from some site like iBroidery.com. This enables you to collect your set of designs. Embroidery Card Slot: You can place other Brother embroidery cards and use the designs there as well. Embroidery Compatible: We are all fond of several embroidery designs found online. You can download from there and use it here. Backlit LCD Touch Screen Display: The 1.4″ x 2.7″ touchscreen allows you to pick up your designs and other editing options. To make it more visible, it has an LCD. Design Editing: If you are looking for fancy designs, you can perform rotation, resizing and more to edit your designs. You can also have a preview before stitching them. Accessories: One 5″x7″ embroidery hoop, Dust cover, has Embroidery arm, got accessory bag with seam ripper, needle set, spool caps (3), scissors, cleaning brush, screwdrivers (2), and bobbins (3). It provides high-quality stitch, and you can be creative due to many options available. It has additional memory features. Working space is comparatively less. It is big and not portable. This computerized machine weighs 36.6 lbs. and is 21.5 x 16 x 22 inches in dimension. It is heavy and compact. It just doesn’t perform general sewing but also embroidery. The white machine has blue trimming. Computer Connectivity and Updates: The most amazing feature about this is you can update your old designs and have new patterns downloaded. Thus, you could make your project more creative. Super Easy Bobbin Winding System: Once you place the thread, you need to move the bobbin towards right once and press ” There is quick set drop-in bobbin winding system which is also jam-resistant. Advanced Needle Threader: You need to place the needle on this and push the vertical shaft. It jumps back to position itself once the thread is placed. Inbuilt Stitches and Designs: There are 67 pre-programmed stitches which include heirloom, decorative, utility, and quilting. There are also 120 frame patterns, 70 inbuilt embroidery designs, and five built-in fonts. iBroidery Compatible: We are all fond of iBroidery.com which has beautiful designs. You can download from there and use it here. You can also pick from Nickelodeon, Disney, Warner Bros., Disney Pixar and other designs from Brother design library. Backlit LCD Touchscreen: You can edit your design like minimize, enlarge, rotate or get a mirror image on the LCD touch screen. It is easily navigable, and you can see your stitch and designs there. Needle Up/Down Setting: Through the touch of a button, you can position the needle up or down. Automatic Thread Cutter: Along with bobbin winder system, we have this which makes it easy and fast to cut the thread. Seven Point Feed Dogs: This enables you to fetch the fabric material efficiently and doesn’t tamper the layers underneath. 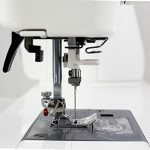 Adjustable Sewing Speeds: There are three stages to adjust the speed before you reach the maximum which is 710 SPM for sewing and 400 SPM for embroidery. Accessories: Rolling bag with project Runway embroidery, 4”x4” embroidery hoop, Embroidery arm, Soft cover, Overcasting foot, Buttonhole foot, Button fitting foot, Zipper foot, Monogramming foot, Embroidery foot, USB-cable, Blind stitch foot, an English and Spanish instruction manual. 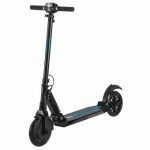 It is very easy to use as it has LCD screen and other user-friendly features. There are a lot of designs available. You can select as per your choice. The quality of stitch is good, and it has 7-point feed dogs. You can do normal sewing as well as embroidery. The embroidery bed is small. It is heavy, hence not portable. The white machine has a lot of buttons on it through which you can select the stitch and various functions. It weighs 26 pounds which are not very heavy. Stitches: There are 294 built-in stitches which include 67 utility stitches, five cross stitches, 31 decorative stitches, 16 satin stitches and ten decorative satin stitches. You can also make your own design and save it in My Custom Stitch. All of them are accessible from LCD screen. Automatic Needle Threading and Cutting: You won’t have to stress your eyes to thread the needle. The machine does the work for you. The automatic thread trimmer also cuts the extra thread. FAST Bobbin System: The quick set bobbin is jam resistant. The top drop in feature makes it faster. You have to push the bobbin right and press the Start button. Adjustable Speed Control: It makes it easier for the beginners by giving three stages to set the speed before you reach the maximum of 850 SPM. Ultra bright sewing area: You can also sew in low light conditions. 6-point feed dogs: This enables you to fetch the fabric material efficiently and doesn’t tamper the layers underneath. Twin needle function: It gives a neat finish to cuffs, sleeves, necklines, and hems. There is Built-in knee lifter. There is tension dial and stitch size selector and stitch selector. Accessories: Walking foot, Overcasting foot, Monogramming foot, Zipper foot, Adjustable zipper/piping foot, Blind stitch foot, Buttonhole foot, quilting foot, Stitch guide foot, Non-stick foot, Open-toe foot, 3 bobbins, 2 screwdrivers, Seam ripper, 3 spool caps, Twin needle, Needle setting, Eyelet punch, Cleaning brush, Extra spool pin, Spool net, Grid sheet setting, Foot controller pedal, Hard protective case. It is perfect for heavy duty sewing. It is user-friendly and good for beginners. It has a super bright work space. 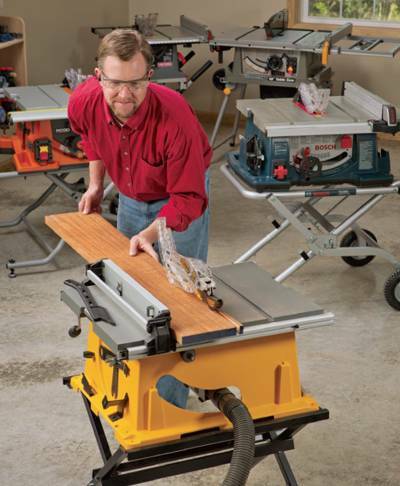 Although there is automatic thread trimmer, you may need to trim the extra thread occasionally manually. You can only use the bobbins from Brother. This affordable computerized machine is one of the best machines for the beginners. It can add buttonholes, decorative top stitching, zippers, overcasting edges to your material. Inbuilt Stitches and Designs: There are pre-programmed stitches which include heirloom, decorative, utility, and quilting. There are also 87 stitch functions, inbuilt stretch stitches for stretchy fabrics. The maximum stitch length is 5mm, and maximum stitch width is 7mm. The maximum speed of sewing is 850 stitches/minute. LCD Screen: There is LCD screen to view stitches and designs. Free Arm: This enables feeding of the cloth more easily as there is an extended area where the needle is placed. 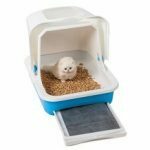 Seven Point Feed Dogs: This enables you to fetch the fabric material efficiently and doesn’t tamper the layers underneath and is capable of drop feed. LED light: It lightens up the sewing area. You can now sew in low light conditions. It has a built-in carry handle. Vertical spool pins: This enables consistent feeding of the thread. You can adjust the tension and position of the thread. Presser Foot: It includes the Overcasting foot, Monogramming foot, Buttonhole foot, Button sewing foot, Zipper foot, Blind stitch foot. The zipper foot enables neat stitching at the edges. The overcasting foot helps in making perfect stitches for home decoration purposes. Accessories: Brother PR CS5055PRW Sewing Machine, six sewing feet (zipper foot, blind stitch foot, buttonhole foot, button sewing foot, overcasting foot, monogramming foot), Needles (twin needle and ballpoint needle), Seam ripper, cleaning brush, Bobbins, Screwdriver, an extra spool pin, Large/medium/small spool caps, Built in accessory storage. It is not too costly. The manual is well described. It can sew thick fabrics as well. It doesn’t emit much noise. A lot of plastics used and storage compartment is comparatively small. The LED light given is not very useful as it is dim. Difficult to thread the needle. 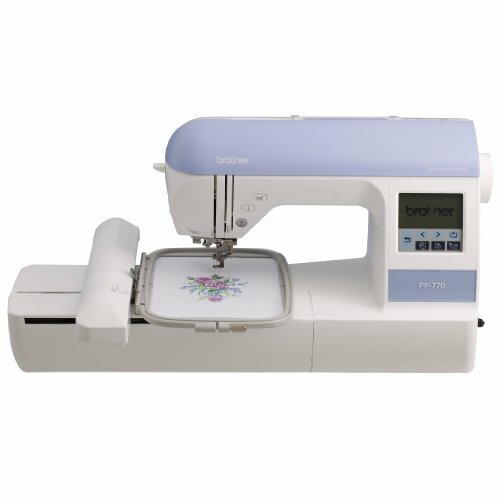 The versatile computerized sewing machine is best suited to add decoration to your clothing. It can sew buttonholes, create quilts. Stitching: It has 130 inbuilt and unique stitches. It includes eight styles of the 1-step buttonholes stitch. It has 55 alphanumeric sewing stitches used for basic monogramming. There are also 42 garment construction stitches, 94 decorative stitch functions, 14 quilting stitch functions, eight auto button hole styles, 12 heirloom stitch functions. Eight presser feet: This includes Zigzag foot, overcasting foot, Blind stitch foot, Buttonhole foot, Monogramming foot, Zipper foot, Button sewing foot and Quilting foot. 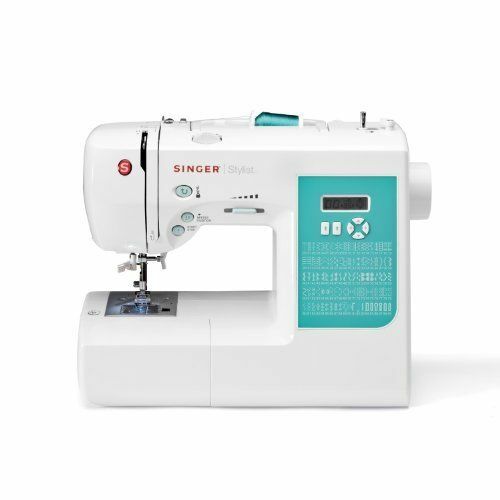 Quilting features: It provides with detachable wide table, 14 quilting stitch functions, spring action quilting foot which enables free-motion quilting. Adjustable: You can adjust the speed of the sewing. There are three possibilities with maximum 850 SPM. The width and length of the stitch can also be adjusted. Accessories: Wide table perfect for large projects, Foot control, allowing you to control your sewing speed, Bilingual, Accessory pouch, including 3-piece needle set, three bobbins, three spool caps, Screw driver, Cleaning brush, Eyelet punch, Extra spool pin, Seam ripper. The working area is very bright. The backlight area is bright. It is light weight and easy to use. There are automatic needle threader and drop in bobbin. Detachable foot and quilting table are given. There is no storage area for accessories. This advanced sewing machine is computerized. It has a stainless steel bed plate which enables smooth feeding of the fabric during sewing. 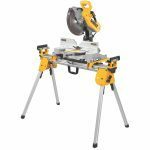 It’s dimensions: 17″L x 8.25″W x 12″H weighing 18.2 lbs. and is made in China. Automatic needle threader: The machine fetches the needle itself, and there is automatic needle cutter, too. Drop-in bobbin system: Top drop-in bobbin system makes the set-up easy and quick. Some part of the thread could be kept out of the case that makes it visible. Stitches: It has 600 built-in stitches, and the maximum speed that can be attained is 850 stitches per minute. This helps in fast and efficient sewing. Buttonhole styles: It has 13 different buttonhole styles. It is designed with automatic one-step buttonholes with five different fonts. Twin-needle capability: For uniform hemline, two needles can be fed, and the length could be adjusted manually as per requirement. LCD Screen: It acts as digital information advisor. It also gives audible error warnings which could be deactivated if not necessary. It automatically sets the length and width of the required stitch. LED Light: It has got bright lights compared to the other sewing machines. You can work even in low-lit areas. 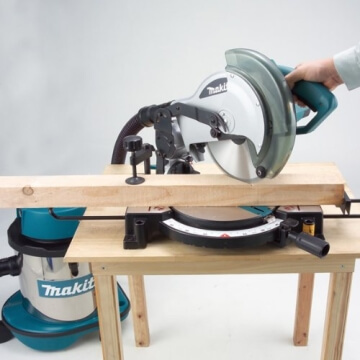 You can remove a part of the table which can help in free-arm sewing. Adjustable feed dogs help in sewing freely as they can be removed. It has an electronic auto pilot. People having problems in legs and hands will also be able to use this as it is not necessary to have the foot pedal. 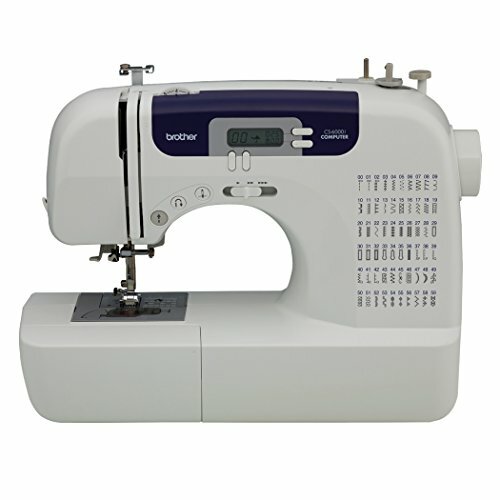 The 600 built-in stitches help in sewing any decorative items. The LED bulb lets you work in low light conditions. It can’t be mounted on a cabinet as it weighs about 25LBS. The needles are not strong enough. You need to have your own for heavy fabrics. Not user-friendly for new comers. The computerized sewing machine is weighing 9.92 lbs. can be used for heirloom and decorative stitches. You can decorate items by creating beautiful designs. Its dimension- 11.45″ x 6.69″ x 16.02″. Built-In stitches: There are 100 built-in stitches with 55 alphanumeric ones for basic monogramming and lettering. This includes heirloom, decorative and utility stitches. LCD screen: There is back-lit LCD screen that allows choosing the stitch you want to do. You can also view the flip-stitch guide on the screen. Automatic Needle Threader: You don’t have to worry about threading. The machine does that in the blink of an eye. Buttonholes Styles: There are inbuilt eight 1-step styles of buttonholes stitch available. The 1-step buttonhole can create buttonholes real fast and accurately. There is buttonhole presser present, which you just have to press after adjusting the size. 7 Presser Feet: There are Buttonhole foot, Zipper foot, Zigzag foot, Overcasting foot, Button Sewing foot, Monogramming foot and Blind stitch foot. You can also purchase other presser feet that help in bias tape binding, gathering fabric and invisible zippers. Stitch: The maximum sewing speed is 850 SPM, and the stitch width and length is 7mm x 5mm. There is speed controller to adjust various speeds. There is automatic needle up and down, and accessory storage is present. 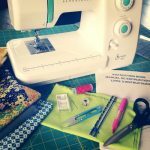 Accessories: Over sized wide table for quilting, accessory pouch with needle set, twin needle Ball point needle, bobbins (3), Extra spool pin, Screwdriver, Seam ripper, Cleaning brush, Spool pin, Power cord, Operation Manual, Hard Cover. Hard cover given as accessory. There is Alphanumeric font used for monogramming. Isn’t the ideal one if you have to sew heavy fabrics. It has all the features that a beginner needs. Beginners can make exciting designs from it. It has been awarded Consumers Digest award twice. 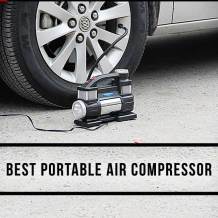 It is very easy to use and reliable. Stitch: There are 100 stitches available which include Garment Sewing, Decorative stitches, Heirloom stitches, Quilting, Sewing Crafts. These include eight stretch stitches, seven buttonhole stitches, nine essential stitches and 76 decorative stitches. Refined Stitch Controls: You can control the stitch length and width. You can use the long stitches for tight and decorative purposes in thicker fabrics. Easy push-button stitch selection: There is a button on the left of the machine. You can release or press the pedal to position the needle. You can also rotate the needle thus getting the perfect one. Buttonholes Styles: There are inbuilt seven 1-step styles of buttonholes stitch available. Presser Feet: It includes zigzag/all purpose, buttonhole, zipper, satin stitch or straight stitch, darning and embroidery, overcast, rolled hem, blind hem, straight stitch, gathering. There is 6-point feed dog system. LCD screen display: It just doesn’t show your designs but also helps in detecting errors. LED Lifetime White Lamp: This enables stitching in even low light conditions. Accessories: Seam puller, Lint brush, Spool pin, Spool felt, Screwdriver, DVD. A lot of built in stitches available. You can have control over stitching process. 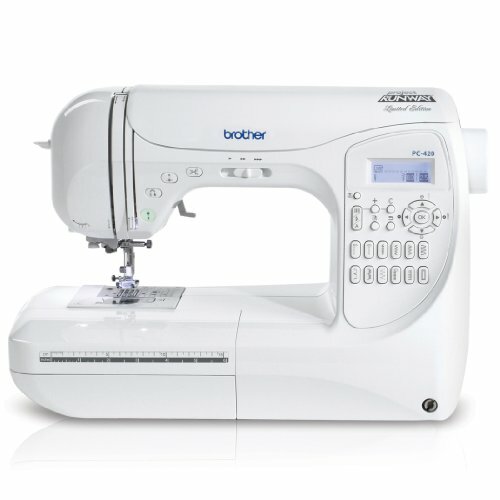 This user-friendly computerized sewing machine is affordable. You can be creative with it after you learn the features of it. Stitching: It has 60 built-in stitches that include, 20 stitches for garment construction, six heirloom stitches, seven quilting stitches, 20 decorative stitches and seven automatic button-hole stitches. The 27 stitches include zigzag stitches, triple stretch stitch, basting stitches, stitch buttonhole stitch and blind hem. Buttonholes Styles: There are inbuilt seven 1-step styles of buttonholes stitch available. The 1-step buttonhole can create buttonholes real fast and accurately. Presser feet: Nine Presser Feet includes Buttonhole foot, overcasting foot, Zigzag foot, Blind stitch foot, Monogramming foot, Zipper foot, Button fitting foot, Walking foot, Spring action quilting foot. The stop and start button helps in foot control. You can also control speed through it. The free arm helps in sewing sleeves and cuffs. Accessories: Needle set, spool pin, twin needle, bobbins (3), seam ripper, cleaning brush, screwdriver, power cord, eyelet punch, Operation Manual, oversized table, hard protective case. There are no inbuilt embroidery functions. If you are passionate about sewing and want to create your own masterpieces, then here is the detailed guide for you. 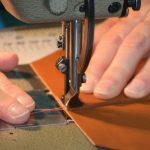 Read the article, you will get to know everything that are important before you want to buy any computerized sewing machine. So follow your passion. Never let it go away due to lack of knowledge. We are here for you to guide you.